The first room exiting the elevator on West Penn’s fifth floor has a bookshelf compacted with many of the required textbooks. Littered with equations, the whiteboard reveals the extensive work of both the tutor and the student. 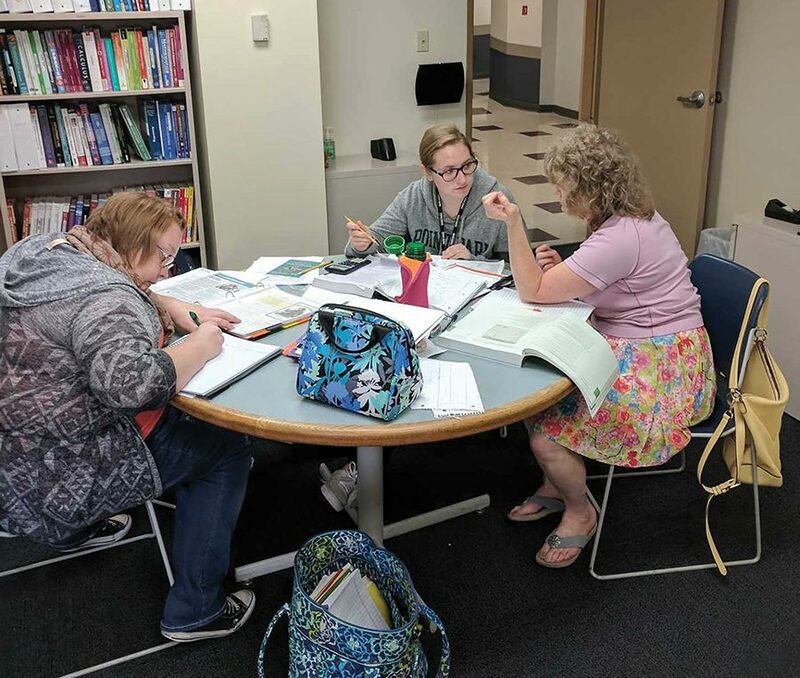 The Center for Student Success’ tutoring service just celebrated International Tutoring Appreciation Week and they have a collective expectation that they will see an increase in attendance with the coming exams. Tutoring is free to all students, whether the students can schedule one-on-one sessions for a more personable atmosphere, attending drop-in hours for a more casual setting or even getting assistance online, where students don’t even have to walk out their door. Natacia Owens is the Student Success and Tutoring Coordinator and it is her job to manage and facilitate a welcoming tutoring environment. As International Tutoring Appreciation Week came to a close, Owens’ employees were awarded for their hard work with snacks, water bottles, a card and more to accompany the week’s festivities. Owens argued that if the tutoring is effective enough, students may not need to return to the tutoring center with a fuller understanding of the content. Paul Spiker, a graduate of the University of Pittsburgh and Iowa State University, has worked as a math tutor for about a year and encourages students to stop by whenever they need assistance. “Why not take advantage of it while you can?” Spiker said. Students who have yet to attend a tutoring session tend to have a misconception with how the program actually works, according to Spiker. Down the short hallway is the second room. With the door open, Alex Vaughn can be seen before even entering, at the first table, with his laptop open. Some students are unsure about coming to tutoring, according to Vaughn. Vaughn, a senior math and engineering major, admitted to not being comfortable asking for help in the past. He has been a tutor for a month and a half recognizes the common issues that many college students tend to struggle with, like comprehension in the classroom. “We’ll help you figure it out and apply it to what the teacher is saying,” Vaughn said. Chelsey Driskel, a graduate student who also works at the International Students Services and Enrollment office, has seen both ends of the tutoring department. As a tutor, she specializes in helping with journalism students. Even with her expertise in journalism, she consistently utilizes the online tutoring program for writing assignments. It is a non-traditional approach to tutoring as it is not face-to-face, but it is still opportunity for students to receive feedback on their writing and to further develop their skills as a writer. Driskel, like Spiker, encourages students to use tutoring to help them excel in their courses. “There is no shame in needing help, no matter what the subject is,” Driskel said.